It's Pat Collins Snow Stick Time Again! 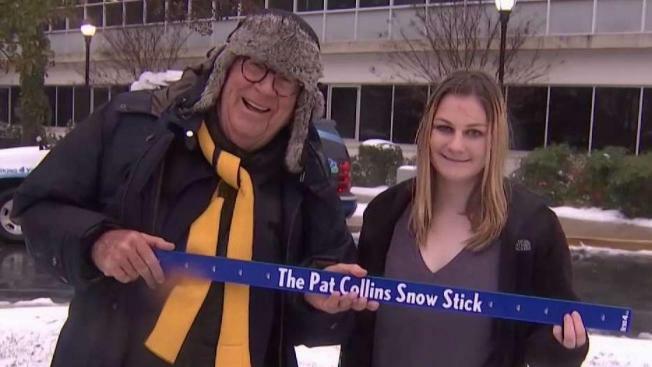 The 20-year-old winner of the first Pat Collins Snow Stick of the season grew up doing the Snow Stick Challenges. The first snowfall of the season came earlier than usual, and that means the first Pat Collins Snow Stick of the season was awarded early too. Morgan Wivagg of Ashburn, Virginia, was the big winner. The 20-year-old correctly predicted that the first inch of snow would fall at Reagan Washington National Airport by 11 a.m. Thursday. Her prize? Her very own Pat Collins Snow Stick, so she can measure the snow at home on her own. Beating out more than 200 people who vied for a snow stick, Wivagg said she chose 11 because it's her lucky number and Thursday because it's her brother's birthday. She grew up competing in the Pat Collins Snow Stick Challenges. 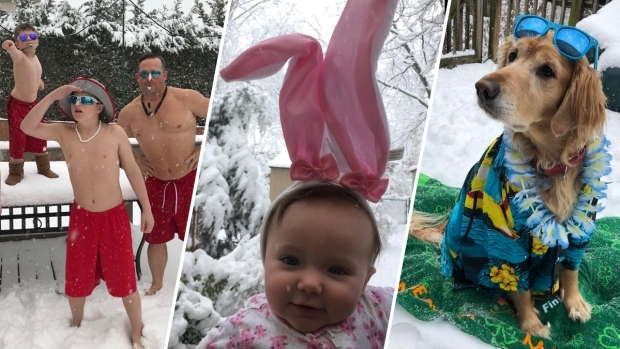 The Pat Collins Spring Snow Stick Challenge Is On! Stay tuned for your shot at winning the next Snow Stick.